If you balk at the prospect of anything to do with getting up close and personal with eyeballs, then this post might not be for you. However I couldn't resist sharing this stunning photography project from Armenian photographer and PhD-holder Suren Manvelyan. 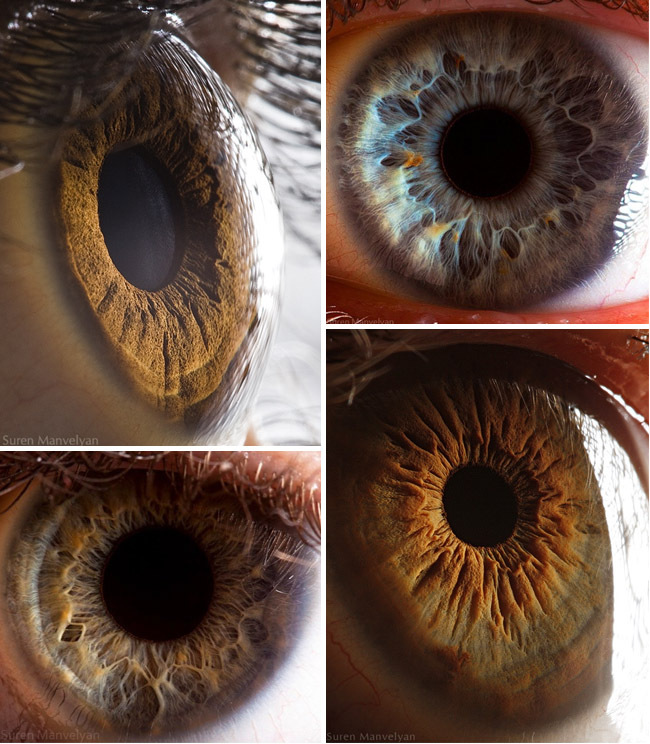 These macro shots of the human eye are stunning both from scientific and artistic point of views - fitting considering Suren works as a scientific researcher and photographer. In some shots the iris looks like some kind of galaxy about to be sucked into a black hole; in others an electrical storm whirling around the black void. As I said, stunning work! Take a look at more of Suren's work over on Behance. ah this is stunning! so unique too! Thanks so much for your really lovely comment!